In this post, I’ll explain how to disassemble Lenovo Y50-70 to remove and replace the battery, hard drive, RAM, wireless card, cooling fan, speakers, bottom case, and motherboard. Want to be the first to see inside of the latest smartphone and laptop? Follow us on Facebook for the latest teardown news. There are some snaps fixed the bottom case, and you can use a pry bar release all the snaps. Be careful, do not damage the snaps. After all screws removed, you can open the bottom case. Under the bottom case, you can access the battery, hard drive, memory, wireless card and speaker. Disconnect the battery connector from the motherboard. You can remove the battery. 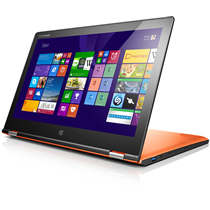 The laptop comes with a 7.4v, 7400mah Li-polymer battery, Lenovo P/N: L13M4P02. Carefully remove the memory, Lenovo Y50 have two memory slots, in my case, only one memory was installed. 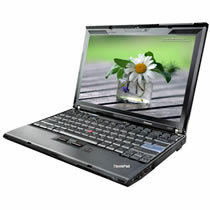 The laptop comes with a Samsung 4GB PC3L-12800S 1600MhZ memory. Remove four screws securing the hard drive module. Slide it to the left. The Lenovo Y50-70 featured an HGST hard drive. Disconnect two antenna cables, take it away from its slot. Intel dual band wireless-ac 3160 wireless card, Lenovo P/N: 04X6034. Now remove two securing the speaker. Remove all screws securing the heat sink. Disconnect two power cables from the motherboard. Lenovo Y50-70 using a dual cooling fan, OEM by Sunon. Hi, I can’t remove the bottom case. Can you please explain me if I have to pull up the case or what to do? Of course I removed all screws. thanks!!! So what happens if you break the snaps? Is there any way to replace them? I broke all 4 of them up top towards the screen and a couple on the sides and now whenever I press down on certain places of my laptop, it compresses and even makes a popping noise sometimes. Please help! i broke 5 of them, so no problem, ther are 4 left i think. i but it back and that’s all. nothing changed. the silk material i think is ther to ultimately stop the dust from entering too much, and so the dust acumulate verry hard and longevity is bigger. is it at all possible to get under the keyboard and mouse pad for thorough cleaning? I’ve got some dust (and strangely enough, flour – I’m a cook and I don’t properly clean my hands sometimes) build up, particularly under the mouse pad, which is driving me mad since I can see it from an angle. I see/ read online that the CPU is soldered on. Is it at all possible to upgrade my CPU for this laptop? 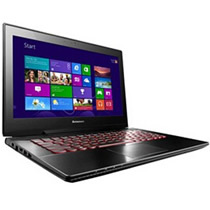 I have the Lenovo Y50 with the intel i5 4200H CPU, and I was hoping I could upgrade to the i7 4700HQ CPU. The rear four clips are impossible to reach, even with a plastic removal tool. How do I unclip them? bro. you just need to aply a lot of force, and carefully broke some of the clips, bcz… that”s how they designed it. i broke 5 of them and no problem. 4 left. Is it possible to replace the keyboard? I found articles and videos showing a complete teardown up until the keyboard. I’m a clutz and spilled liquid on my keyboard and shorted some keys. I wonder what these four clips. They are too difficult to dislodge and I have broken all four. Looks like it’s done on purpose to break and to prove that the chassis was opened to not operate the warranty. can i change the processor? i want to upgrade into higher Ghz. CPU and GPU are soldered on – can’t upgrade unfortunately. Hi David. This article is great. Thank you. Can you please tell me the size of the screws of the back cover? I’m missing just 2 of them and I wouldn’t want to buy a whole 900pcs set just for this. I’ve been trying to open the bottom case but I can’t find no screws or snaps and I haven’t been able to pry it open. I have a Lenovo G400. How to I get it open? Im guessing the blue board on the keyboard-cover in the last pic is the soundcard? como puedo sacar el teclado de la lenovo ideapad Y50-70? o viene en conjunto con la carcasa?